We know that cleaning a house after a renovation or a repair is quite heavy and should be taken into account when you think about the renovation itself. It is not an easy job to do because the dust and debris after a renovation are very hard to clean. Let us help you with the task. We are company here in Tottenham N17 and we specialise in providing after builders cleaning services. We pride ourselves in being the best ones in the area because we have made our clients a priority and we strive to give them the most excellent results. And we have what it takes to do it. 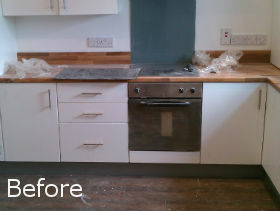 Hire us and we will prove it to you why so many people choose us for their after builders cleaning. Many people think that getting professional cleaning service is very expensive, but not with us. We have made sure that as many people as possible can take advantage of our cleaning service and that is why we do not have any fixed rates. Our pricing system is very considerate and so that even people on a budget can benefit from it. What we offer you is high-quality after builders cleaning at a very reasonable price. Our cleaners are trained experts and they can deal with any challenge. They will come to your house with their own equipment and cleaning products and will make your house spotlessly clean. You can count on that. They will not leave until you are satisfied with the result. Do not waste any more time, pick up the phone and call us now. Our assistants will help you with any additional inquiries. 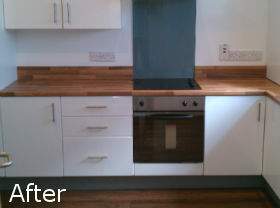 Choose the best after builders cleaning service in N17 Tottenham and you will not be disappointed, we guarantee it.